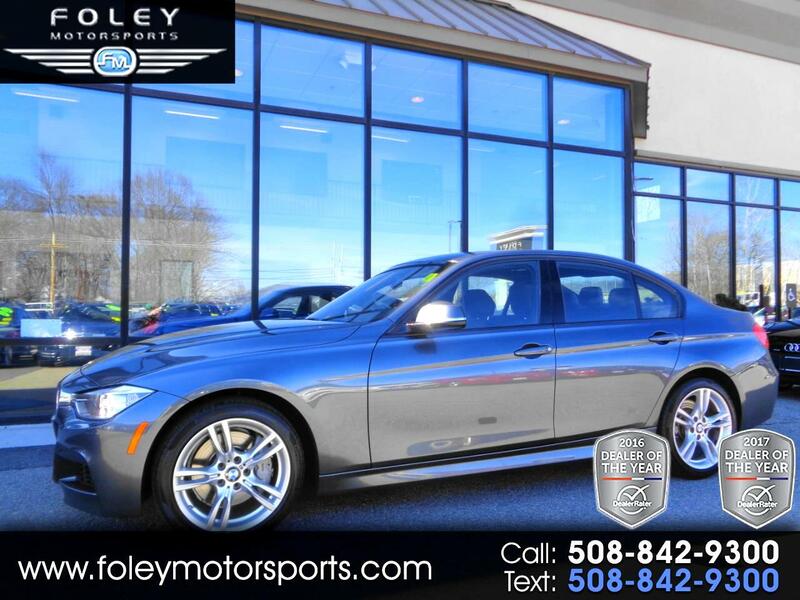 ***NEW ARRIVAL*** BMW 335i xDrive Sedan... M Sport, Technology, Premium, Cold Weather Pkg, LOADED!! Affordable LUXURY!! 2014 BMW 335i xDrive Sedan... Mineral Grey Metallic on Black Dakota Leather... ALL Wheel Drive... Sport AUTOMATIC Transmission... LOADED... M SPORT Package... COLD WEATHER Package... PREMIUM Package... TECHNOLOGY Package... STORAGE Package... XENON Headlamps... Very CLEAN... WELL Maintained... ONLY 61,790 Miles!! Drive this beauty home today for a fraction of its ***ORIGINAL Sticker MSRP of $56,775*** Please feel free to contact our experienced sales team with ANY questions or to schedule a test drive. Buy with confidence from the area LEADER in Pre-Owned LUXURY. Additional 5 Year/100K Extended Warranty Coverage Available. ALL of our vehicles are meticulously detailed and serviced by our factory trained certified technicians. Call or email us at sales@rjfoley.com **$0 Down** 100% financing available with great rates! Trades are always welcome. National and International shipping quotes are available. Message: Thought you might be interested in this 2014 BMW 3 Series.